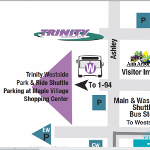 We're proud to partner with the Ann Arbor Art Fair again this year to offer parking and shuttle transportation to the fair . The Ann Arbor Art Fair begins Wednesday, July 16th and goes through Saturday, July 19th. Hours are Wednesday through Friday 10:00am – 9:00pm and Saturday 10:00am – 6:00pm. 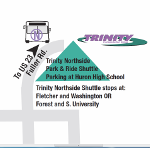 We will be running two park & ride shuttles through the duration of the fair. Park conveniently outside of the fair and miss out on some traffic! Transportation is only $3 per person round trip.